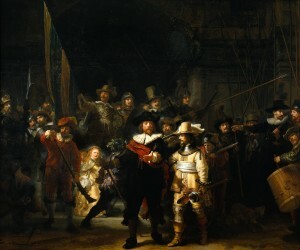 The most famous 17th century Dutch painter is Rembrandt van Rijn (1606-1669) and probably his most well known painting is the Night Watch (de Nachtwacht). It is a large painting of the Militia Company of Captain Frans Banning Cocq, called so because it seemed to be a night scene. After it was cleaned in 1946-1947 and later in 1980 it appeared to be a scene that was situated in bright day light. Another famous painting is that of ‘The Jewish Bride’. 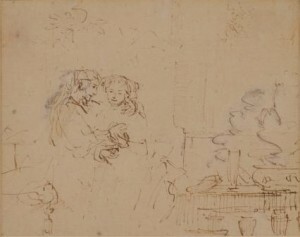 A total different painting of a couple, a man and a young woman. Historians over the years don’t agree with one another about who were painted and what the name of the painting was. In the 18th century, a Dutch banker who bought this painting described it as: ‘It is an image of a Jewish bride, who is given a necklace by her father’. This interpretation survived the time. 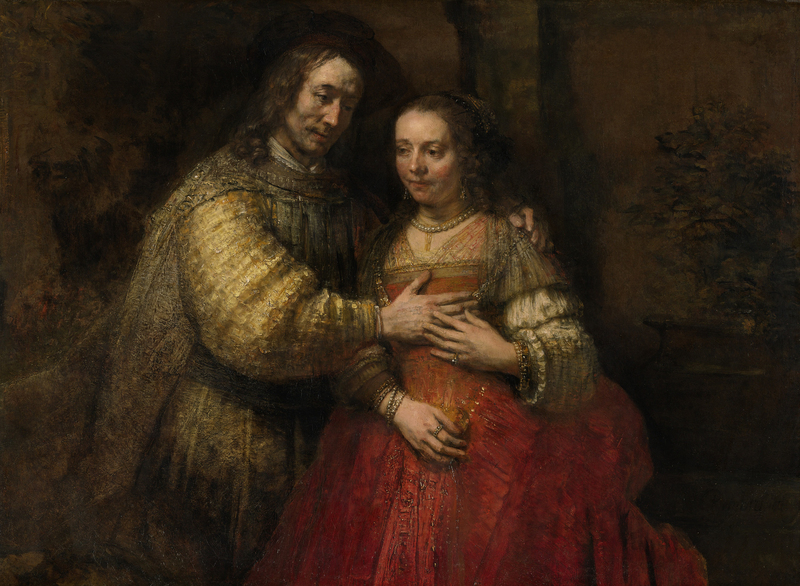 However, the Rijksmuseum, where the painting is on display named it ‘Isaac and Rebecca’ because of similarities with some sketches of Rembrandt. Some time ago I heard an interview on the Dutch radio with a Dutch writer named Bert Natter. The program was about the books he had written. 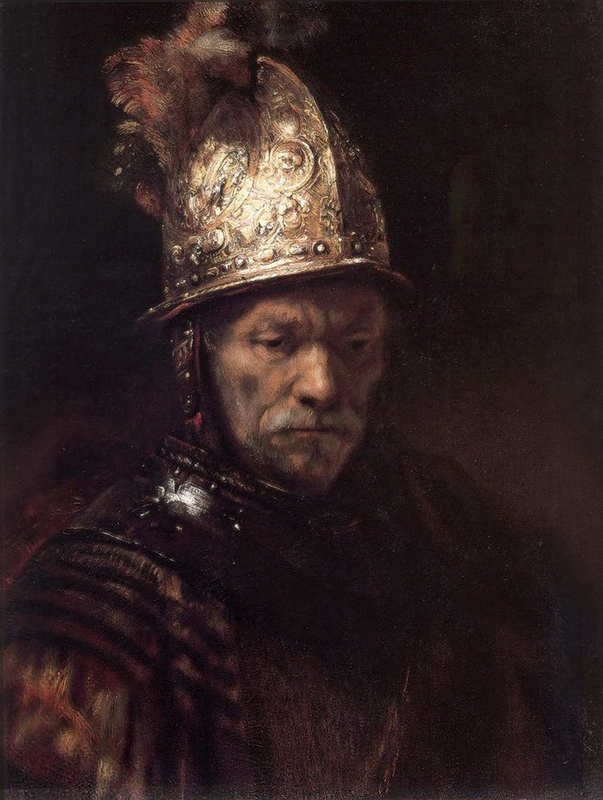 One of the books was ‘Rembrandt, mijn vader’ (Rembrandt, my father). It is a historical novel in which the life of Rembrandt is seen through the eyes of his sun Titus. Among other things, the conversation was about the name of this particular painting. Why was I triggered? 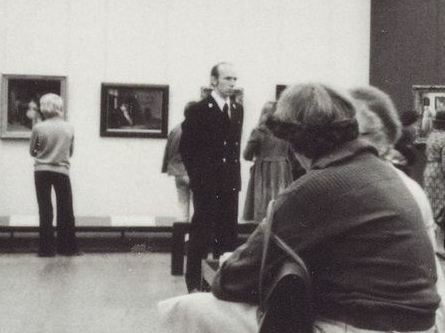 Well, in my younger years, I served my country for almost two years (1976-1978) by protecting the national treasures of art as a guard in the Rijksmuseum. Because I refused to go in the army, the government ‘punished’ me by placing me there as a guard. In fact, it was a kind of reward. Why? Well, millions of people travel from all countries of the world to visit the Rijksmuseum to see the Rembrandt paintings and the other treasures of art and the government placed me there for almost two years! And I got paid for it as well! Anyway, instead of joining the army I tried to save the paintings from over exited visitors, bored school children, touching fingers and pointing umbrellas as well as collecting the entrance fees and helping out in the wardrobe. During those years I spend quite some time in the room where this painting was exposed. It was one of my favourites because of the warm colours and the way it was painted, not very delicate but with thick layers of paint and the use of a paint-knife in an almost impressionistic way. An exhibition hall at the Rijksmuseum, 1976. And this is me as a guard! 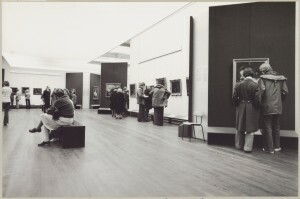 Photo credits: het Rijksmuseum, Amsterdam. During the research for his book, Bert Natter noticed that the expression of the faces of the couple on the painting did not show any affection you should expect from a couple in love like Isaac and Rebecca, but in fact they are looking rather sad. So who did Rembrandt paint? If this is a scene form ancient Biblical times and they are not Isaac and Rebecca, then who are they? One suggestion is that they could be Jephthah and his daughter, according to Bert Natter. He did start to investigate and found out that the painting was on auction in 1825 in London. It was brought in by an English art trader John Smith, who describes the painting as ‘Jephthah and his Daughter. 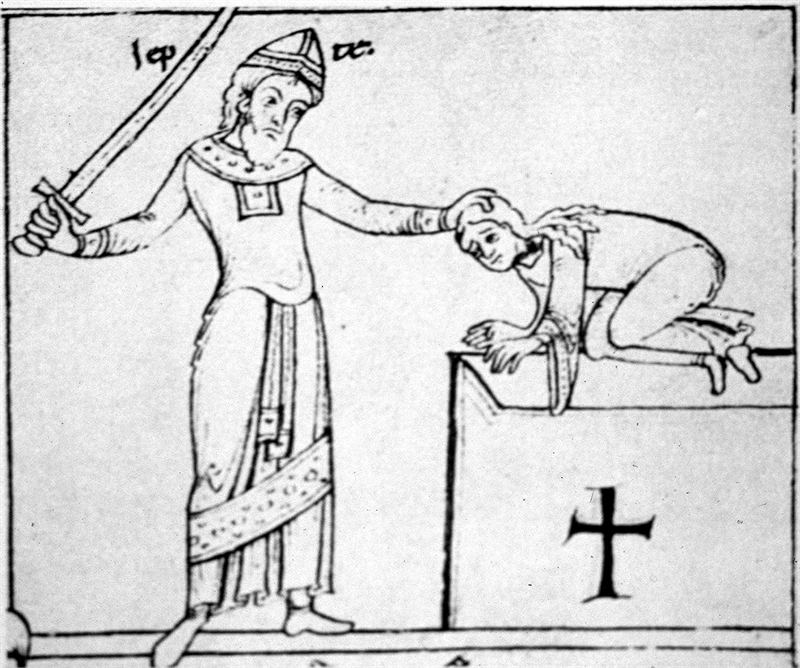 The judge of Israel, in compliance with his rash vow, is about to sacrifice his only child’. This supported Natters suggestion that indeed, this could be Jephthah and his daughter, who is soon to be sacrificed due to Jephthah’s vow, hence the sad atmosphere in the painting. Jephthah was a judge in ancient Biblical times. He went to war to fight with the Ammonites (Judges 11). He promised God that if he wins the war, that whatsoever comes to welcome him by returning home safely, he will sacrifice to Him. In Christian tradition this story elaborates on the virtue of Jephthah who was willing to sacrifice his daughter to God, no matter what, and the obedience of his daughter who is willing to give her life because of the vow Jephthah made to The Lord Almighty. But is this truth? There is a particular strange verse in the Bible about the dead of Jephthah. In the King James is written (Judges 12:7): ‘And Jephthah judged Israel six years. Then died Jephthah the Gileadite, and was buried in one of the cities of Gilead.’. The words ‘one of ‘ are added by the translator and are not in the original text. So in fact we read: ‘and (Jephthah) was buried in the cities of Gilead‘. How can one be buried in cities (plural!)? We find the answer in the Jewish tradition. Nachmanides and Rashi point out that however Jephthah was brave and mighty but he was not a Torah scholar. That is why he thought he was bound to the vow he made and out of arrogance he did not consult Phinehas, the High Priest of that time, as he should have done, because God abhors human sacrifices. Phinehas on the other hand, after he learned Jephthah was to sacrifice his daughter, was too proud to go to Jephthah and advice him. So the stubbornness of both leaders of Israel in those days costed the life of Jephthah’s daughter….. 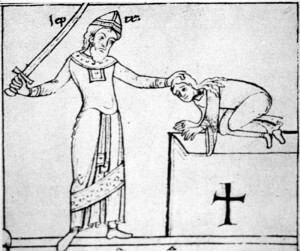 According to the Midrash, both were punished for their obstinacy. Phinehas lost the divine spirit and could not function as High Priest anymore. Jephthah became ill and because of his illness he lost many of his limbs during his travels in Gilead. That is why it is written that he was buried in the cities of Gilead. The lesson we can learn from this that we have to be humble at all times, even if we are the leaders of the nation, as it is said: ‘Pride goes before a fall!’ Nobody is more important than another, we are all of equal value in the eyes of The Lord Almighty. And we all need to try to perform well in this world! Humor in Serious Business. GarageBand ‘free instruments’ update problem in OS X.